State Representative Norine Hammond represents the 93rd District in the Illinois House of Representatives. Born and raised in Illinois, Norine Hammond is honored to serve the residents of eight west-central counties in the Land of Lincoln. They include all or part of the following: Knox, Fulton, Warren, McDonough, Schuyler, Cass, Brown, and Mason. Rep. Hammond attended Western Illinois University. She married her husband, Leonard, and they began raising their daughter, Trish, in Macomb. During this time, Hammond worked as a Legislative Aide to Representative Rich Myers. In that capacity, she handled constituent issues, working directly with the agencies and their governmental liaisons in an effort to address constituents’ concerns. In addition, she has served as Emmet Township Trustee 2002 – 2006, Township Supervisor 2006-2014 and as a member of the Macomb Planning Commission. On Dec 9, 2010, Hammond was appointed to fill the vacancy of the late Rep. Myers and began her work to ensure that Western Illinois continued to have a strong voice in the Illinois House. Representative Hammond focuses on fiscal accountability. She is an advocate for preserving Amtrak services across the State, as well as, supporting Veterans, and ensuring state agencies work best for Illinoisans. As Minority Chair on Higher Education Committee, she works for increased funding for 4 year and community colleges throughout Illinois. Her legislative priorities are based on the concerns and issues that residents, businesses, and local governments have in the 93rd District. Hammond continually sponsors legislation to grow business, providing good paying, full-time jobs that are desperately needed in our state. In the 100th General Assembly, She successful passed legislation to address the teacher shortage; keep Illinois students attending Illinois Colleges and Universities; fairly fund public k-12 education; and fight the opioid epidemic that is devastating our communities. 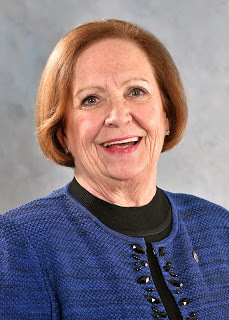 She represents the State of Illinois on the Council of State Governments Agriculture Committee and is a member of the Board of the State Agriculture and Rural Leaders (SARL), a group of legislators from throughout the United States and Canada focusing on agriculture issues. Representative Hammond serves as Assistant Minority Leader. She is one of 4 House members serving on the Legislative Ethics Commission. She serves as Republican Spokesperson on Consumer Protection and Higher Education Committees. Her other committee assignments include; Appropriations-Higher Education; Community College Access; Elementary & Secondary School Curriculum and Policies; Human Services; Insurance and Transportation Roads & Bridges. Her legislative accomplishments have earned her awards from the Illinois Health Care Association, the Chamber of Commerce, the Association of Illinois Soil & Water Conservation Districts, the Illinois Farm Bureau and others. She has also been selected to serve the Illinois House on a number of legislative task forces and working groups given her ability to work in a bi-partisan effort to bring results.